Washington State Ferries employees have taken part in several potential life-saving events this year. Last time I checked, it was up to 18 incidents. Last month, a rider got into the act. Kevin Halverson became the first member of the public to receive WSF’s Life Ring Award for saving another passenger on Oct. 5. Halverson, who makes the reverse commute from Seattle to Bainbridge Island, was on his way back home that afternoon, sitting in the galley area, when he heard that a person couldn’t breathe or talk. Halvorsen quickly responded and performed the Heimlich maneuver, dislodging the food blocking the person’s windpipe. The passenger left quickly after the incident and nobody got his name. 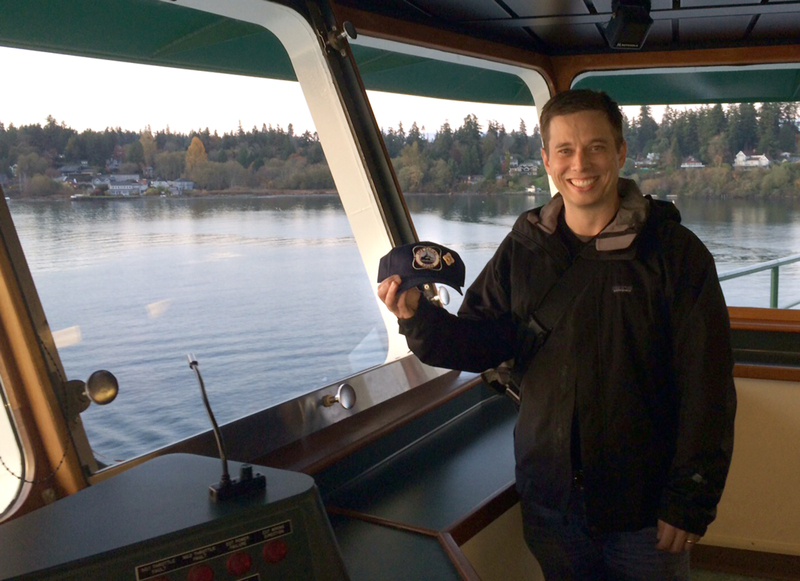 As a way to say thank you, the crew hosted Halverson for a vessel tour on Nov. 9 and presented him with the Live Ring Award.